Internet of Things technology will be crucial to automobiles, but connectivity comes at a price. Connected cars and the Internet of Things go together like peanut butter and jelly. But realizing the future of autonomous vehicles will demand close attention to be paid to cybersecurity, functional-safety standards, and other critical factors. IoT will advance the era of self-driving cars, which currently is dominated by Tesla Motors. At the same time, it will change some of the dynamics in this market. On one hand, it will turn automotive manufacturers into technology companies, which could provide new revenue streams for carmakers. On the other hand, it will open the door for new players that have never had a viable entry point in the automotive market. 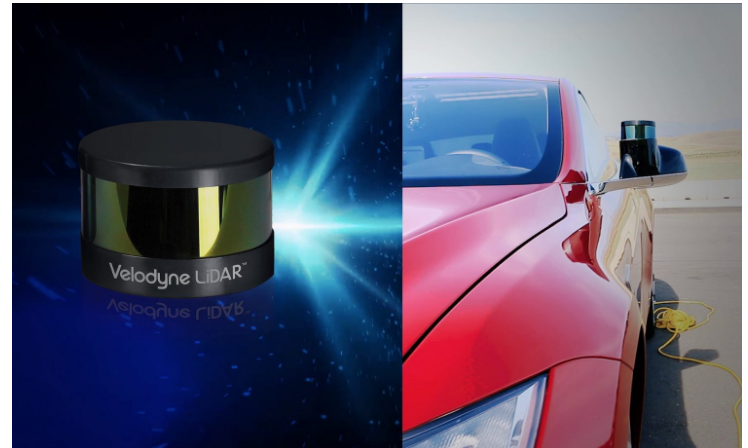 Consider the case of Velodyne LiDAR, a Morgan Hill, Calif.-based company, which last month opened a factory in nearby San Jose to manufacture its LIDAR product. The company sees the plant making 1 million LIDAR sensors a year in 2018. It also has opened a research and development facility, Velodyne Labs, in Alameda, Calif.
Rhonda Dirvin, ARM’s director of IoT vertical markets, noted that the data can be used locally or in the computing cloud, but privacy and security will be key considerations to make this model work. “From an overall IoT perspective, there will be IoT-based infrastructure that will help the cars and some of the autonomous driving things, such as sensors in roadways, perhaps depending on how cities want to deploy things,” she said. York noted that functional safety in cars is unlikely to be affected by any of this. “We’ll keep the safety aspects and the IoT things pretty separate,” he said, adding that privacy issues also will be essential. “You wouldn’t want IoT [to have] the ability to collect data from vehicles, or collect data from any piece of equipment, to be a route in to violate or cause safety problems,” York noted. Not everything in a car is connected at the same level, though, and this distinction becomes critical as cars migrate from driver-assisted to self-driving. IoT still can play a valuable role for autonomous vehicles, such as providing directions or warning of icy road conditions. But determining how a car will react to those conditions and others has to be based upon a set of rules for how the car should behave in a variety of circumstances. But machine learning also has raised some concerns on its own, particularly if changes are made using over-the-air security patches. Current estimates are that 70% to 80% of installed IoT devices, such as security cameras, do not have secure connectivity. While the SoCs and electronic control units (ECUs) in a car, it’s the system of all of these that makes it so difficult to safeguard. Add to that the fact that entire systems are still being developed to sit alongside those that had previously been developed with little or no concerns about security. “Cybersecurity is a moving target,” said Olivier Pauzet, vice president of market strategy at Sierra Wireless. Jeff Hutton, senior director of Automotive Business Solutions at Synopsys, points to three basic steps in the IoT — sense, process, actuate. “We push that into the automotive area, and there’s a lot more constraints,” he said. Vehicle-to-vehicle communication is not a reality yet, although the U.S. Department of Transportation has posted an official notice of proposed rulemaking—a first step toward the National Highway Traffic Safety Administration making it a required rule. Among the considerations in designing, developing, and manufacturing autonomous vehicles are whether or not to implement LIDAR, or whether to rely more on advanced vision systems, according to Hutton. Advanced automotive electronics present hardware integration challenges, while the necessary software will take in artificial intelligence, deep learning, and neural networking technology. “Part of it is vehicle architecture, as well,” said Patterson, adding that autonomous vehicles will need hypervisors and multi-domain support for silicon. Mentor Graphics last month rolled out the Mentor Safe ISO 26262 qualification program, taking in its Nucleus SafetyCert real-time operating system, the Volcano VSTAR AUTOSAR operating system and BSW stack, and ISO 26262-certified documentation and qualification reports for Mentor system-on-a-chip design tools. Automotive electronics are advancing to the point where many applications call for more than microcontrollers, according to Schweiger. Camera-based vision, LIDAR, and radar are being implemented, and they need to be used in combination, since each technology has its own faults or shortcomings. “Radar can’t read traffic signs,” he comments, which can be addressed with vision. Where IoT enters into the equation is providing real-time information based on sensor data. “The car needs to instantly react in all kinds of circumstances,” he adds. There are plenty of good ideas about what will work best in a car, how to secure them, and what to do with all of the data that is collected. It remains to be seen, though, whether these ideas keep up with the technology rollouts and the evolving expertise of hackers. Nevertheless, opportunities for fixing these problems, as well as new ones that come along should keep a large portion of the technology industry busy for years to come. Whether a car is an IoT device or a system that is connected to the IoT is an interesting debate, but the real issue is whether an autonomous or connected vehicle can deliver its passengers to their destination reliably and safely. So far, there is very little data from which to draw a conclusion.